Study on a Chinese course in Xi’an – one of China’s most historic cities! The first ruler of a unified China, Emperor Qin Shi Huangdi, was laid to rest near Xi’an, guarded forever by his intricately crafted Terracotta Army. Xi’an was the beginning of the renowned Silk Road, the cultural crossroads of China and Europe. Retrace the steps of ancient traders and explorers with our school’s unique Chinese on the Silk Road course! Glimpse more of Xi’an’s fascinating past with a walk around its ancient city wall, or a trip to the exquisite Great Mosque. If you learn Chinese in Xi’an, you’ll discover that this is also a very modern city. More than eight million people live here, including thousands of students, giving the city a bustling and cosmopolitan feel. 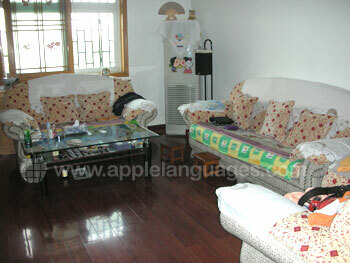 Your Chinese lessons will take place in a modern two-story building in the south of the city. As well as 16 spacious classrooms, the school has a library, Internet-enabled computer room, student lounge and a kitchen. There are even private gardens and a roof terrace, where you can unwind after class. No matter which Chinese course in Xi’an you opt for, you’ll receive first class tuition from our school’s highly qualified, native teachers. 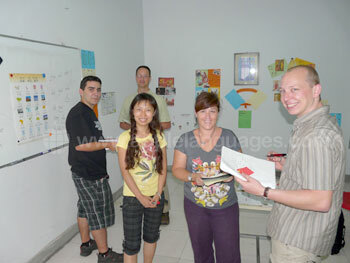 The Intensive and Super Intensive courses comprise 20 and 25 Chinese lessons per week, all in same-level groups. Small class sizes mean that you’ll share your teacher’s attention with no more than eleven other students, allowing you to make swift progress! For even more individual attention, the Combined course consists of group classes coupled with one-on-one tuition. Private Lessons are available too, should you require completely personalised tuition. You can concentrate on areas you’re particularly interested in or have difficulty with, so your language skills will rapidly develop. Our school offers a variety of special interest programs, so you can learn about Chinese traditions as you learn the language. Combine your language lessons with sessions in Tai Chi, Kung Fu, calligraphy, Chinese medicine or Chinese cookery! 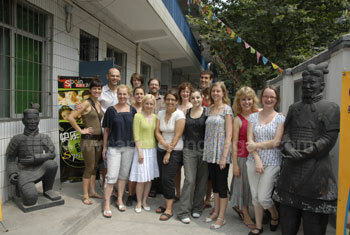 If you have any questions about a Chinese course in Xi’an, please feel free to contact us. 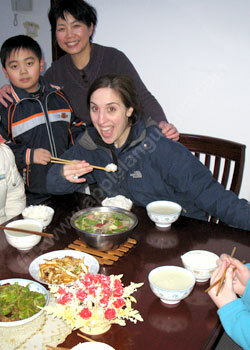 Get a real insight into the Chinese way of life – stay with a local host family! 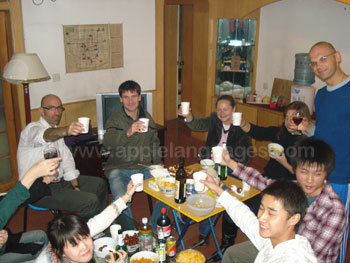 They’ll warmly welcome you into their home and supply you with the constant language practice you need to raise your level of Chinese. 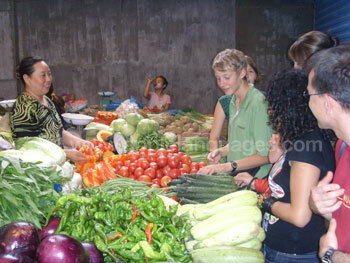 Choose a room only, bed & breakfast or half board (two meals per day) arrangement. For a little more independence, live in one of our school’s shared apartments, where you’ll be able to socialise with your fellow students from the school! 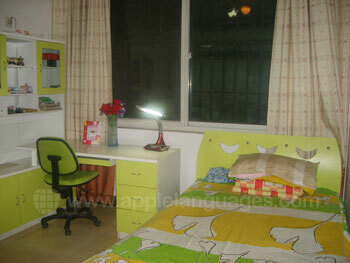 Private studio apartments are also available, giving you your own space whilst you learn Chinese in Xi’an. To make your stay in China as enjoyable and rewarding as possible, our school organises a variety of activities and excursions. Spend your afternoons exploring Xi’an, playing sports or learning about Chinese culture. At the weekends, our school organises trips to places like Qian Ling, the Terracotta Army and the beautiful Chinese countryside. You can book one-way or two-way transfers with our school, either from Xi’an Xianyang International Airport or the train station. To start, very warm welcome and settings for the 2 weeks of lessons. Advice and important help in my daily life in Xi’an. Very good organization in courses both in contents and in excellent training support. Perfect teacher: Chinese courses prepared according to my level and, as it was difficult for me at the beginning, very good balance conduct of vocabulary and grammar items, as well as speaking and listening. Lessons were always friendly and serious and I appreciated very much the face to face option because it’s very helpful and ease to have interactive lessons. I appreciated that during lessons only Chinese speaking and listening were used and keep in mind that I’m not fluent in English. Always helping me, both in Chinese learning and in my visit in Xi’an, I had a very pleasant training course even though I had to work hard. I hope I was a good student. I also very appreciated the lesson at the university, excellent exercise and very interesting. At the end of 2 weeks, I’m sure my level increased significantly and also I have keys to continue to progress by myself in the same way. I’m already looking forward to coming back in Xi’an in a couple of years and progress again. I enjoyed so much these 2 weeks in Xi’an. In addition to the training course, Xi’an is so beautiful and people is so kind. It was difficult for me to come back to France as I had good times at Xi’an. 我爱西安。 I would like to thanks again my teacher Vera, my family accommodation and all people I met at the school. Everything was for me more than expected.